EIGHT GREAT REASONS TO LIST WITH US! PICK UP, PACK UP, LIST WITH US! Location...location...location is something very important to consider when selecting a yacht broker to professionally market and sell your boat. 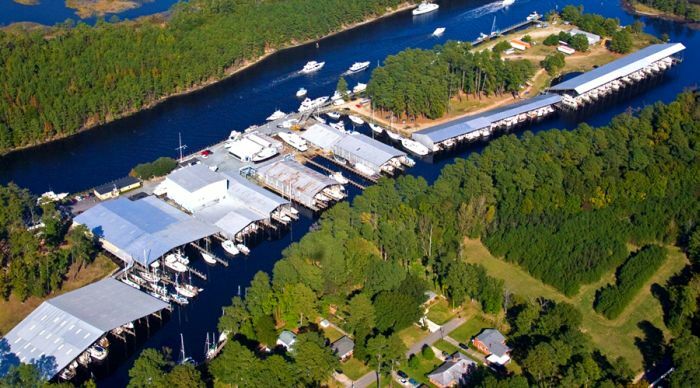 Our location on the Intracoastal Waterway, just south of the Great Bridge Lock, 12 miles south of Norfolk, Virginia, and 20 minutes from Norfolk International Airport, is one of the best in the business. Sellers can keep their brokerage boats under cover in fresh water in a tide free, hurricane safe facility that is known by boaters all over the world. Prospective buyers can easily view many brokerage boats at one location in our "freshwater,covered showrooms." Location is everything and our location is outstanding for your brokerage boat. Sellers who list with us receive excellent Internet exposure through Yachtworld and other major boating sites, as well as Facebook, Twitter, YouTube, Constant Contact,and LinkedIn. Buyers worldwide initially shop for their new boat on line, and our boats stand out! Our professional staging, award winning photographs and detailed copy are "labors of love" and we continuously work on each and every listing to make sure that every potential buyer has the very best information. Both buyers and sellers consistently tell us that our web site is the best in the brokerage business. We keep it that way by insuring that our site is changing and growing in order to remain dynamic and effective. Our international reputation continues to grow with multiple sales to Italy, England, Australia, New Zealand, Canada, and Singapore this year alone. Here also, our reputation for honesty and integrity earns us trust from international buyers as they purchase their yacht via the internet and survey via photograph before even boarding a plane! Our buyers find our experience and contacts ease the anxiety of transporting their vessel home. Our sellers find their boat with worldwide appeal and availability. Virginia Yacht Brokers has worked very hard over the years to build an excellent reputation based on the values of honesty, ethics, integrity and product knowledge. Ask anyone in boating about us. You will be pleased with what you hear. 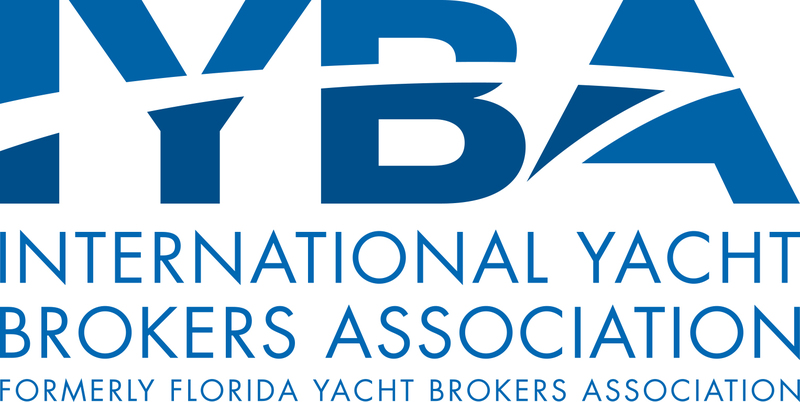 After 30 years of doing yacht brokerage right, we have earned a reputation for excellence in the industry. We are a small business with a lot of boats and a great reputation for doing things right. "As founders and owners of PassageMaker Magazine, we had the opportunity to work with many of the best yacht brokers and agencies in the country over the years. So when it came time to sell our cruising boat, we chose Virginia Yacht Brokers because they have an excellent track record of selling boats! Chuck Grice and his team are true professionals in the yacht brokerage business, and can handle all aspects of the buying/selling process in its entirety with accuracy, respect, and attention to detail. It was a pleasure to work with them from beginning to end. Chuck is extremely knowledgeable and keeps tabs on the pulse of the market. As a result, his many years of experience come through with every question or raised concern, and he resolved or answered every detail with comfortable competence. Kelsey Grice is a master at staging to show a yacht at its best, and her photography provided a compelling and spot-on tour of our boat for the listing. Both efforts were paramount to make that special connection between our boat and buyers looking for just such a yacht. We are thrilled at the speed with which the folks at Virginia Yacht Brokers attracted qualified buyers and then followed through for the eventual sale. We also are especially pleased that it was enjoyable as well. We highly recommend Chuck Grice and the team of Virginia Yacht Brokers. They are true authorities when it comes to cruising trawlers and motor yachts."